A beautiful Endurance composite door fitted recently for a customer in Evesham. The entrance door of your home is the first thing visitors see, a new one can drastically improve the kerb appeal of your home. 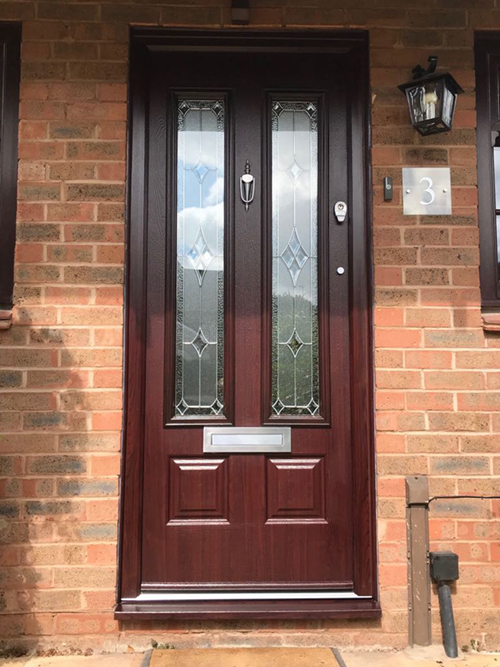 This Endurance door is from the Classic range and is called Scafell in Rosewood. Endurance doors are renowned for their strength and security. They feature a solid timber core, making them the most durable on the market and up to 10% thicker than the competitors. 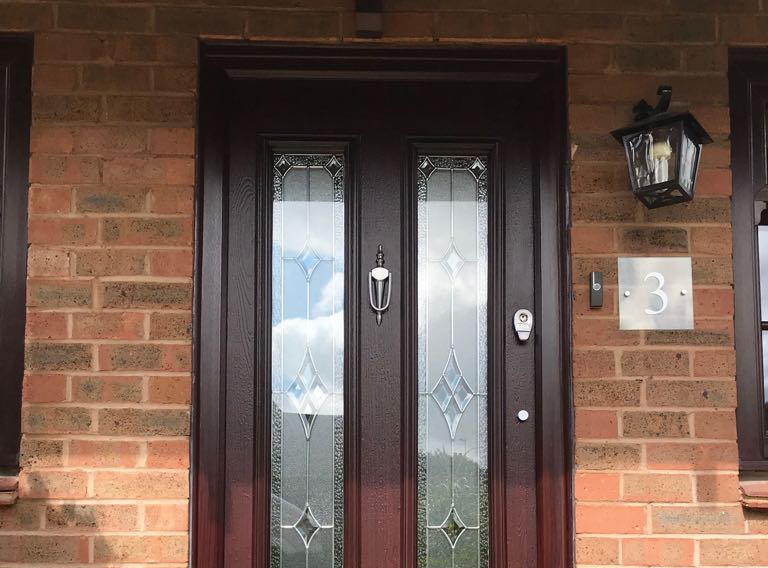 Endurance doors are accredited as Secured By Design, this is a UK Police backed initiative put in place to ensure home improvements offer the standard of crime prevention to keep your home safe from intruders. Locks are Winkhaus AV3 Slamlocks, meaning as soon as the door is closed automatic locking takes place. Endurance doors are thermally efficient which is very important to keep your home warm in the winter.